Happy Monday friends! Whew, I was sure wishing we had another 3 day weekend today! I could not get myself motivated. Lots and lots of coffee were in order! 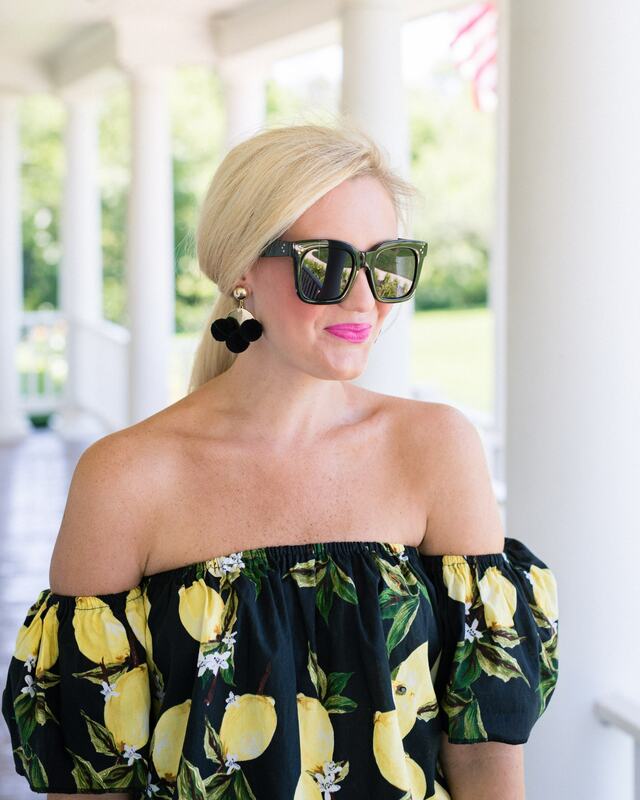 It’s raining and dreary in Dallas today, but I’m sharing a bright, sunny look I shot last weekend! 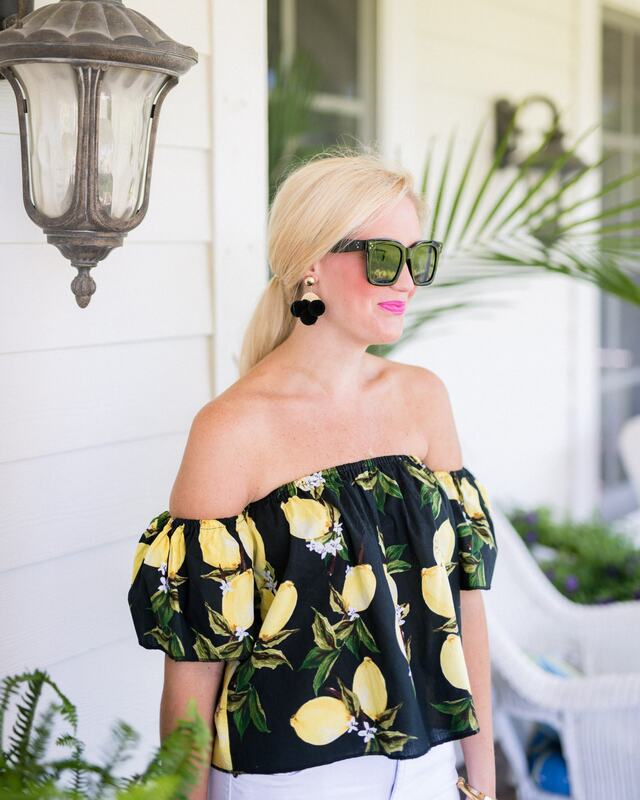 I am so in LOVE with the lemons in this fun shirt! It’s sold out online, so I’ve linked some of my other favorite lemon pieces. I paired it with this $12 pineapple clutch from Forever 21. It’s perfect to bring a little whimsy to your summer outfit! 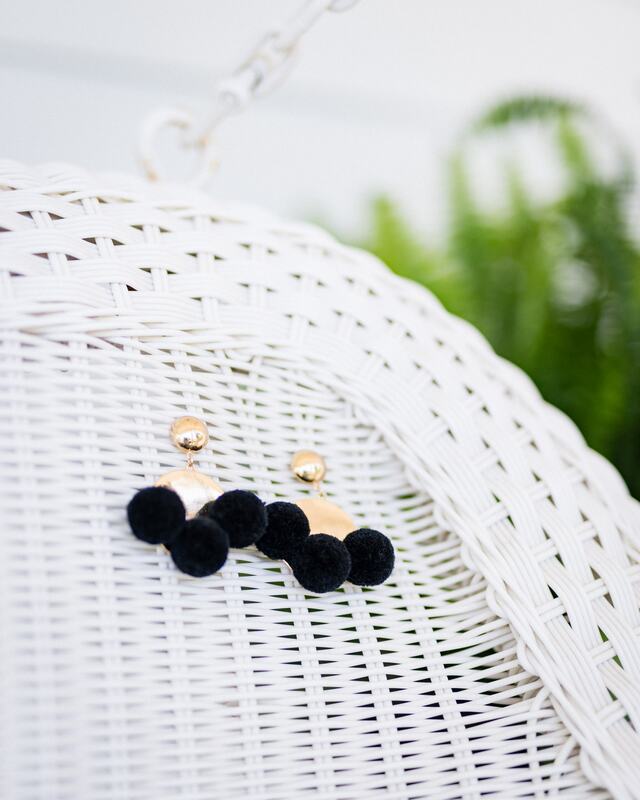 My adorable pom pom earrings are from Mrs. B & Company. They are $17 and come in 4 colors! 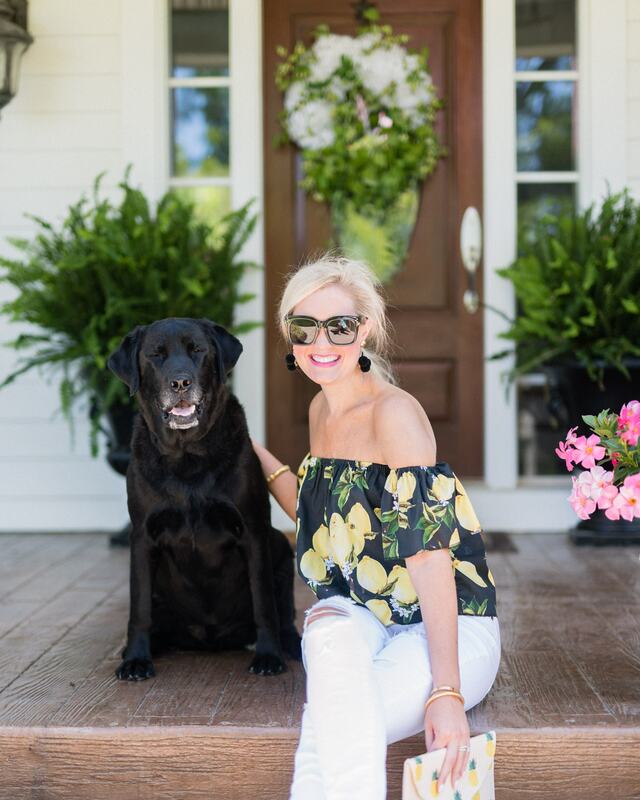 Mrs. B & Company sells the cutest jewelry, accessories, and monogrammed gifts! You can find all of her amazing goodies at www.mrsbandcompany.com or by following along on Instagram @mrsjuliab.